Individuals who allegedly developed heart failure due to their use of Onglyza or Kombiglyze XR are taking legal action against the manufacturers of these Type 2 diabetes medications. If you are interested in filing a Onglyza class action or individual lawsuit for similar injuries it is important to seek legal counsel as soon as possible. Filing a personal injury lawsuit is a complex and often confusing endeavor. The attorneys at Bernstein Liebhard LLP are ready to answer any questions you might have about your legal rights regarding Onglyza or Kombiglyze XR. To learn more about the process for filing an Onglyza class action complaint or individual lawsuit, please contact our office at (888) 994-5118. Onglyza (saxagliptin) was approved by the U.S. Food & Drug Administration (FDA) in July 2009, while Kombiglyze XR (saxagliptin and metformin) was cleared for sale in November of the following year. Both medications are indicated for use in conjunction with diet and exercise to lower blood sugar in people with Type 2 diabetes. The FDA launched a safety review of saxagliptin-containing medications in April 2014, after a clinical trial known as SAVOR suggested that the drug was associated with a 27% increase in hospitalizations for heart failure, as well as a higher risk of all-cause mortality. A year later, the agency’s Endocrinologic and Metabolic Drugs Advisory Committee (EMDAC) overwhelmingly recommended that new information regarding a potential association with heart failure be added to the labels of Onglyza and Kombiglyze XR. In April 2016, statements regarding their potential to increase the risk of heart failure was added to the “Warnings and Precautions” sections of the Onglyza and Kombiglyze XR labels. 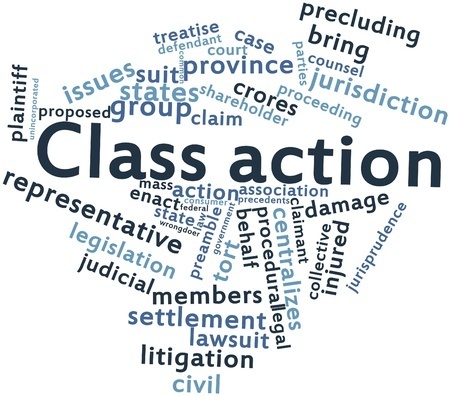 If a Kombiglyze XR or Onglyza class action lawsuit is filed, one plaintiff (designated the class representative) would be given the authority to act on behalf all other class members. Decisions left to the discretion of the class representative include the choice of attorney and whether to settle the lawsuit. Any funds recovered as part of a class action settlement would be shared equally among class members. However, the class representative would receive a larger payment in return for their more extensive role in the case. Class action lawsuits work best when all class members have experienced near-identical damages due to the same product. If the case is resolved in plaintiffs’ favor, compensation may include refunds or rebates to reimburse consumers for purchasing the product. If a class action involves a drug like Onglyza, the settlement may also include funds to set up a health monitoring program. Patients who experienced heart failure allegedly related to Onglyza or Kombiglyze XR likely incurred physical, financial and emotional damages of varying severity. It’s unlikely that a “one size fits all” compensation scheme that typically results from a class action lawsuit would make these plaintiffs whole. In such a case, fair restitution can only be obtained by filing an individual personal injury lawsuit against the manufacturers of Kombiglyze XR or Onglyza. The attorneys at Bernstein Liebhard LLP are offering free legal reviews to individuals who may have been harmed by Onglyza or Kombiglyze XR. Please call (888) 994-5118 to discuss your case with a member of our legal team today.